It’s summer and who wants to cook? Who wants to turn on the oven? 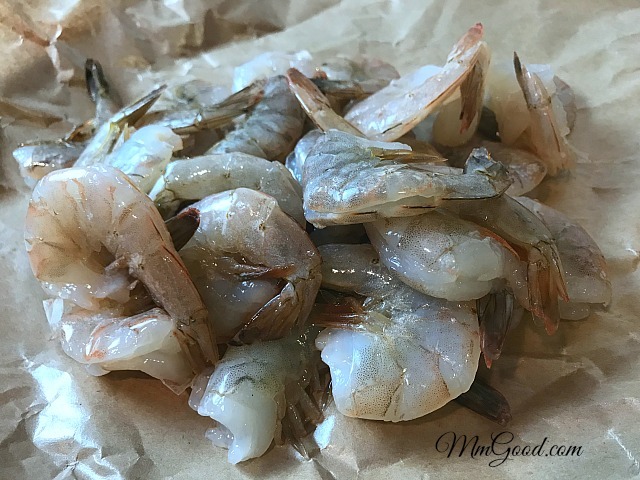 Not me…and yet I did but I was craving shrimp so I created a recipe that roasted shrimp in the oven but it only needed 8-10 minutes of cooking time, I put vegetable on the tray that I knew would cook quickly and I ended up with a complete meal. Now aren’t you interested? 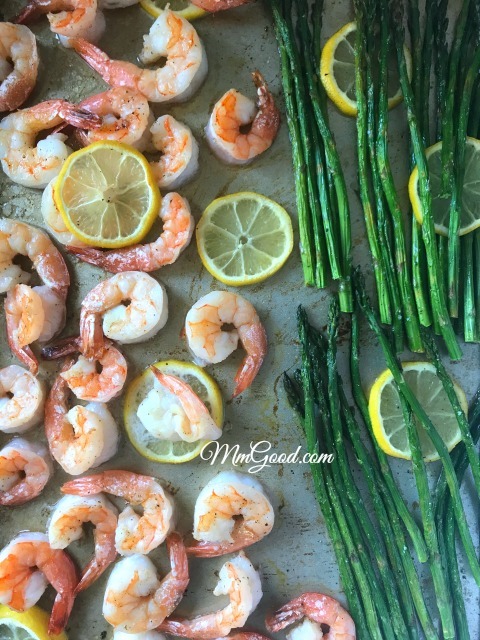 A super easy recipe where one baking sheet, one pound of shrimp and one pound of asparagus makes a complete meal. In this recipe I used the 21-25 count, what that means is that for 1 pound of shrimp, I received about 21-25 shrimp. place in your oven for 8-10 minutes or until the shrimp are cooked through and you are all done! 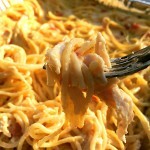 This is the easiest recipe for the summer and while it does require the use of an oven, the timing is limited. You also get a complete meal with this recipe so you can make it in under 30 minutes and with only one pan, it doesn’t get much better than that! 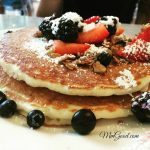 Let me know what you think of the recipe by commenting below? 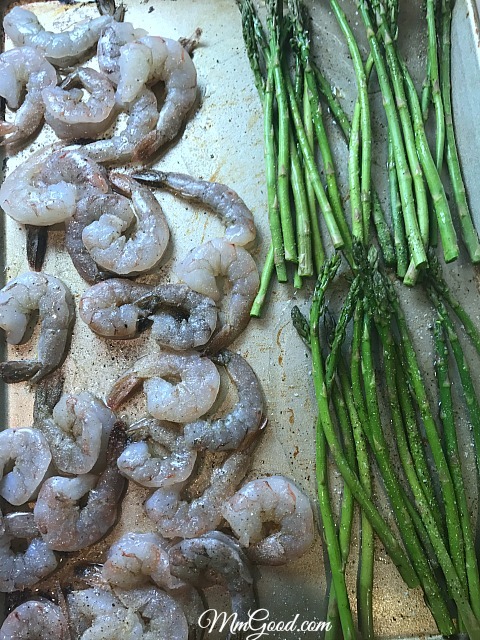 Place shrimp on one side of your baking dish and the asparagus on the other side, season with salt and pepper. 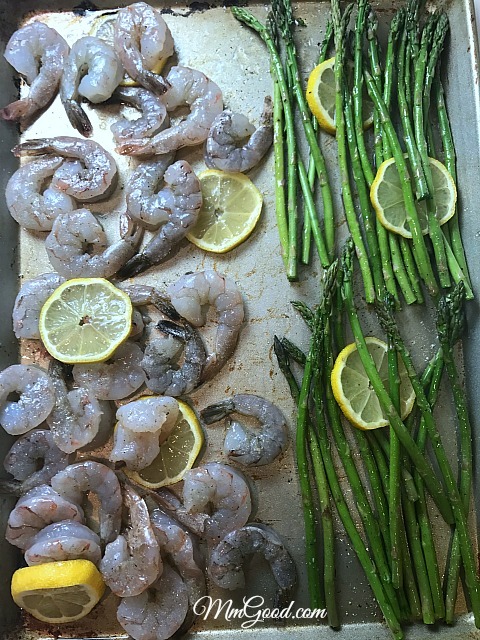 Randomly place lemon slices under shrimp and asparagus. Cook for 8-10 minutes or until shrimp is cooked through. 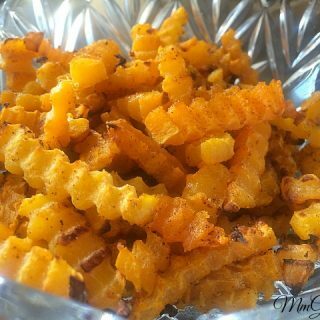 Serve hot or warm, enjoy!